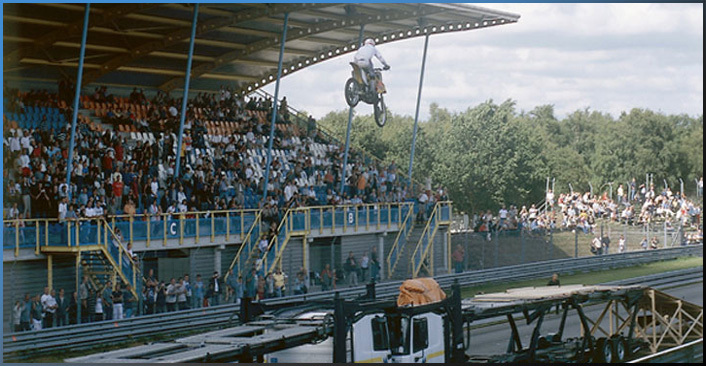 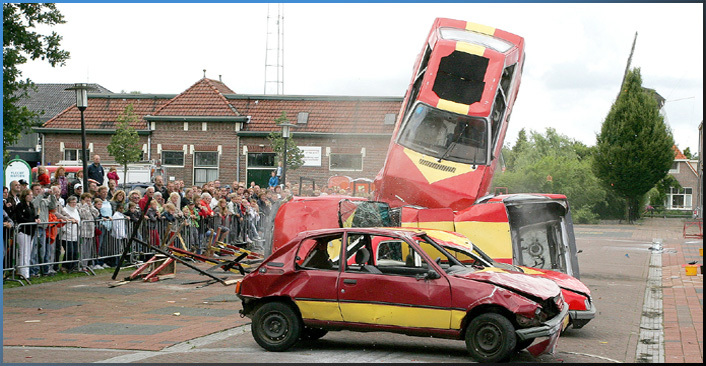 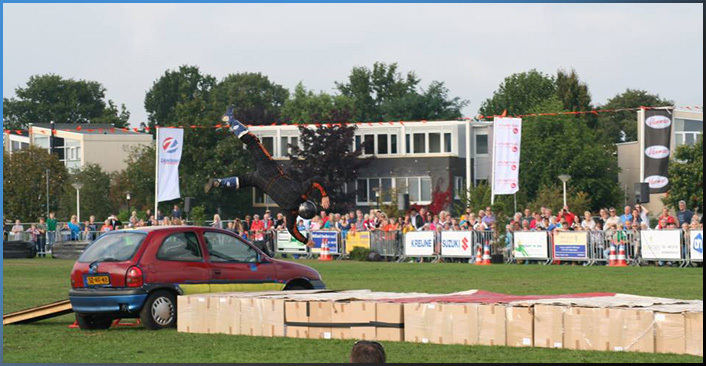 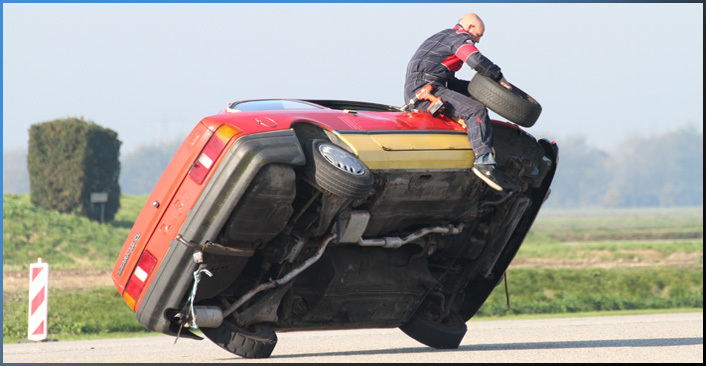 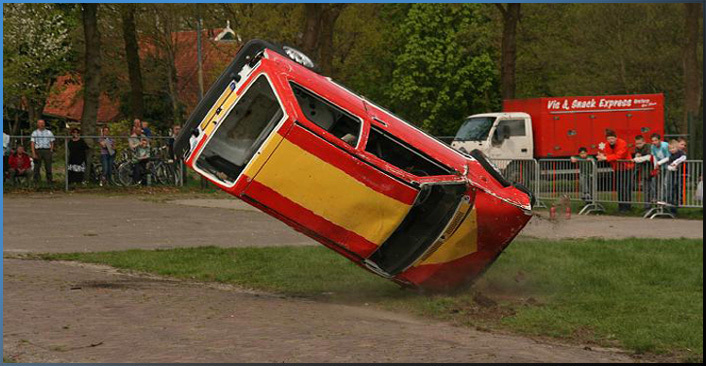 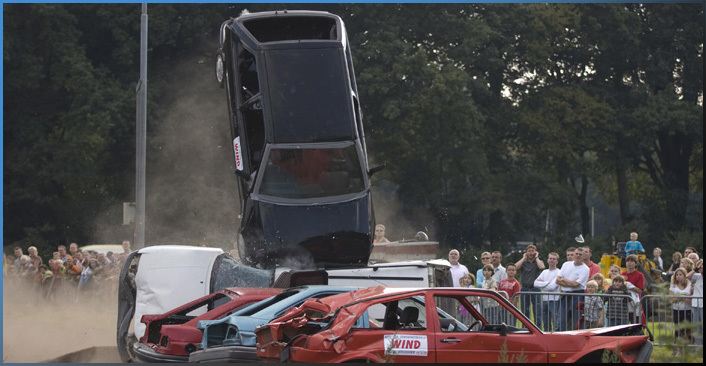 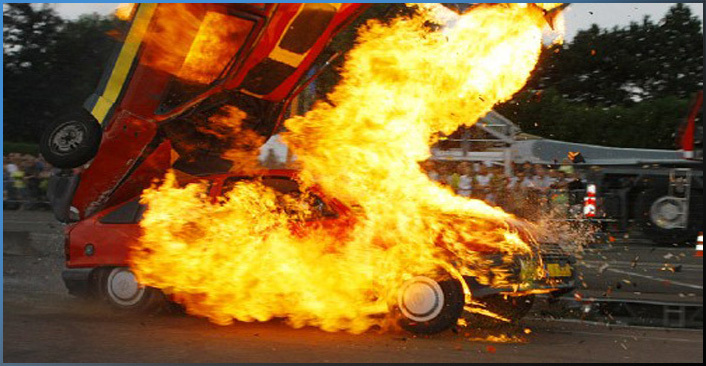 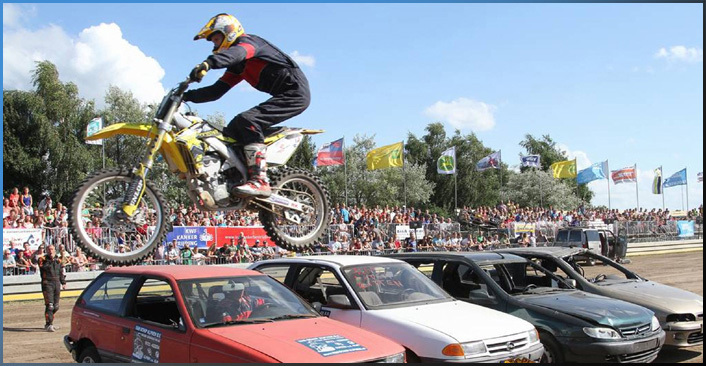 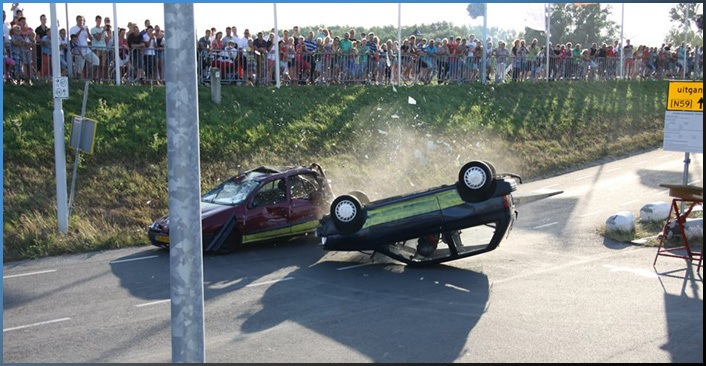 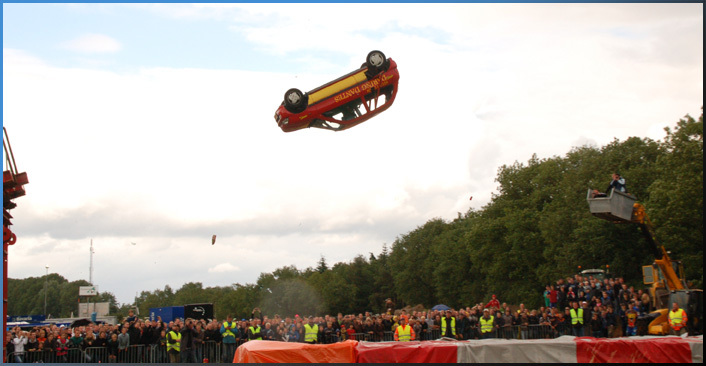 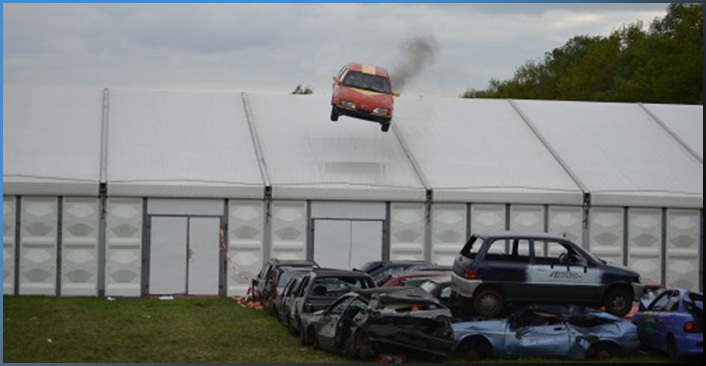 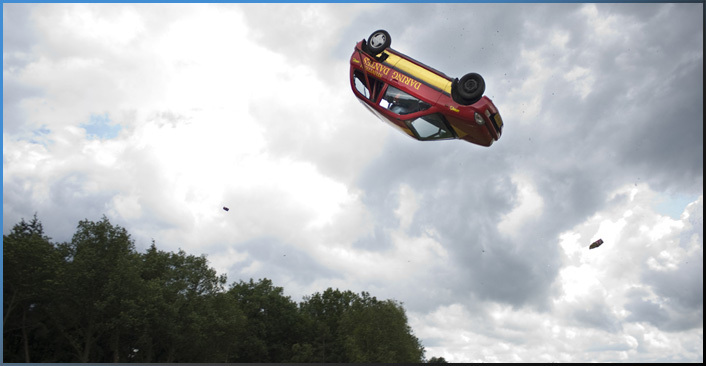 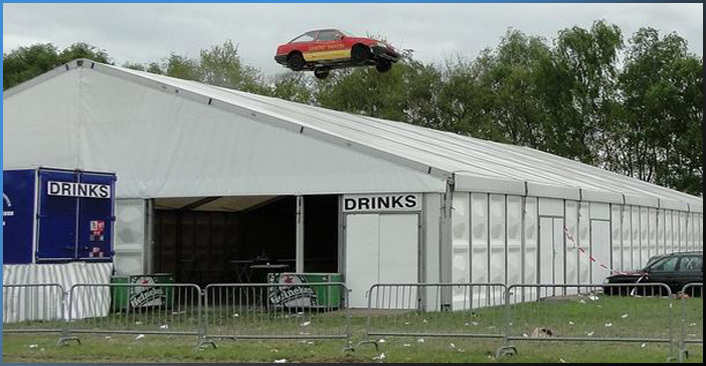 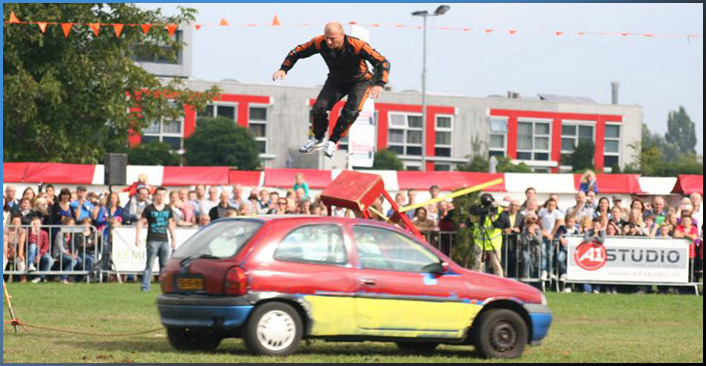 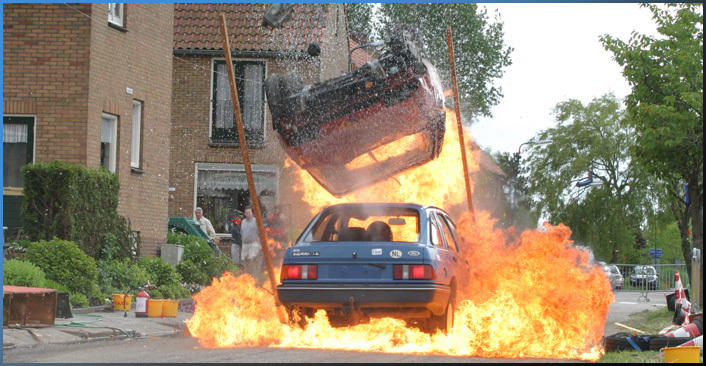 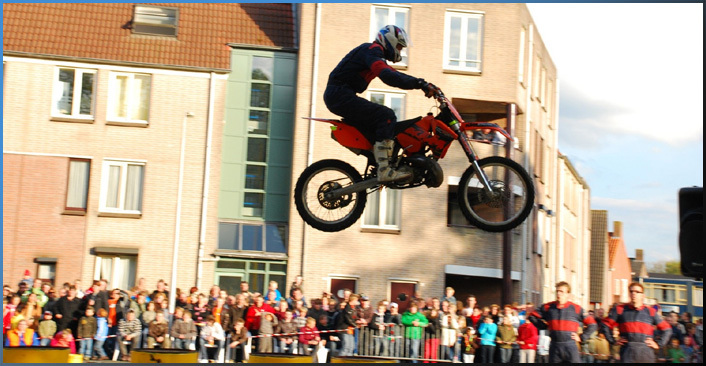 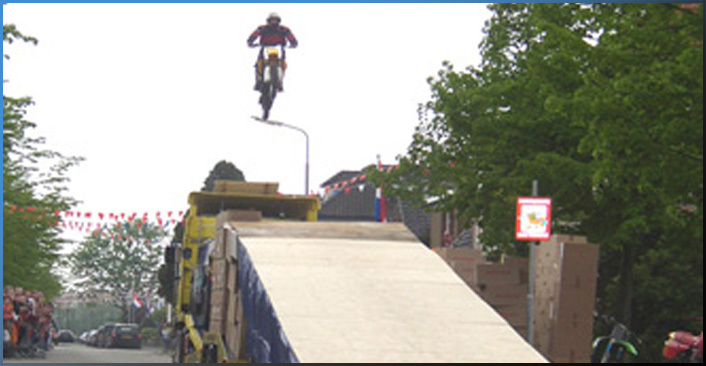 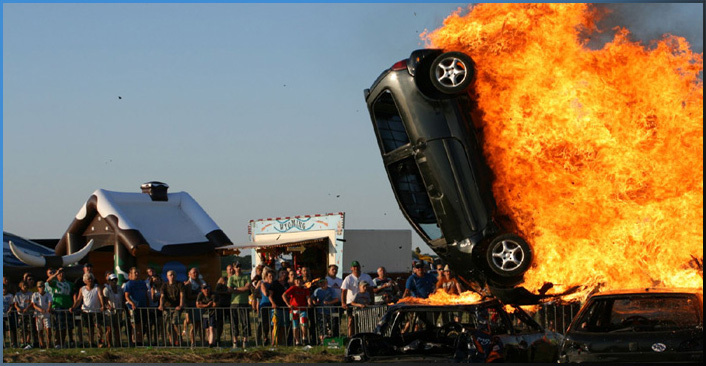 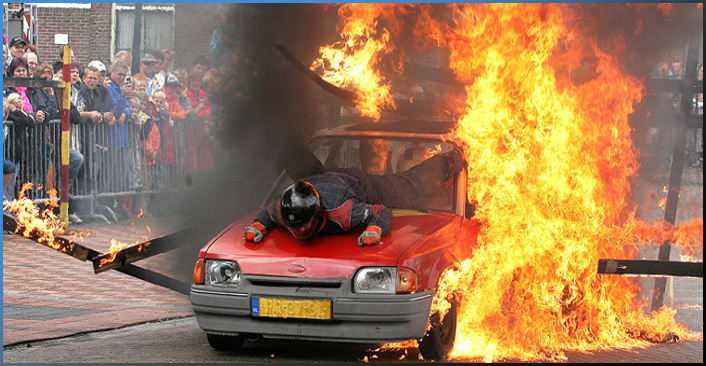 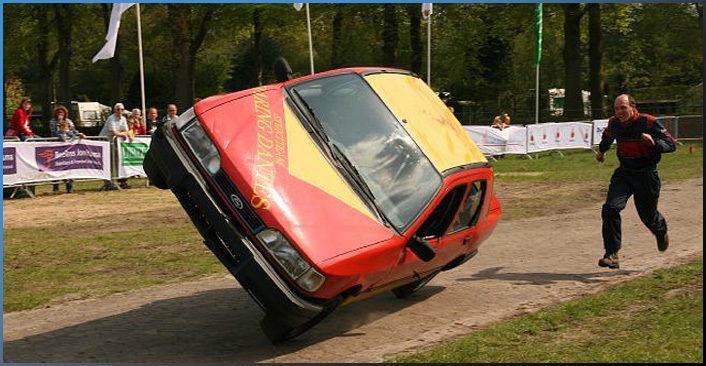 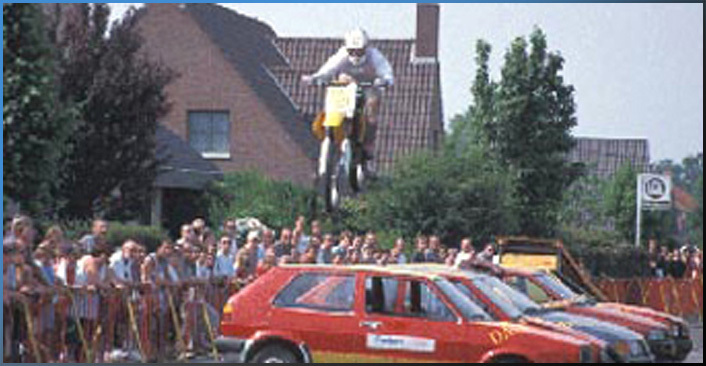 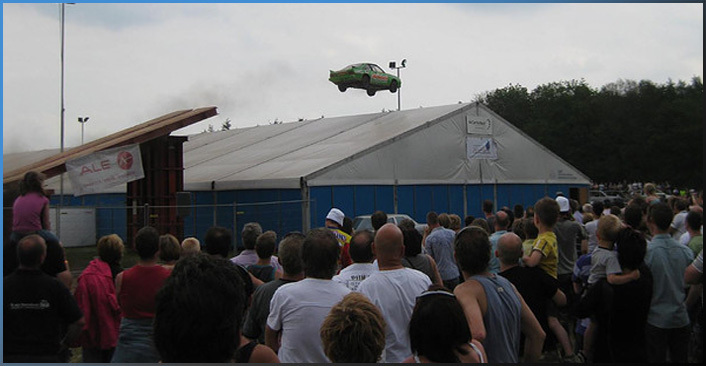 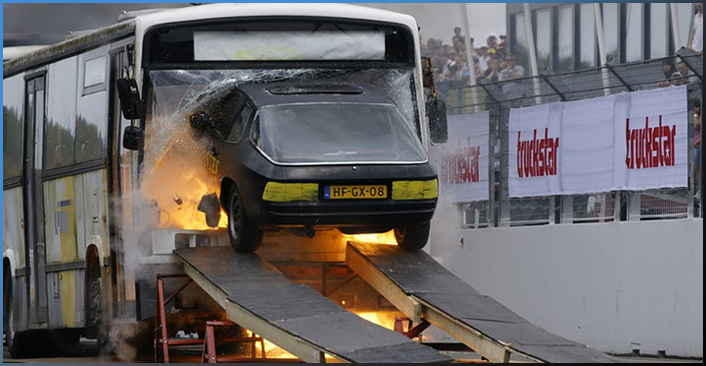 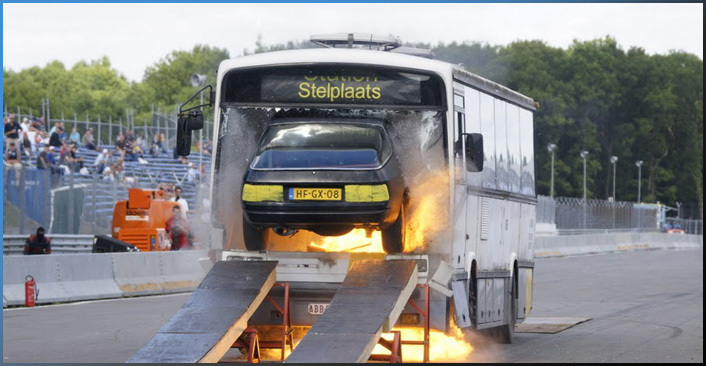 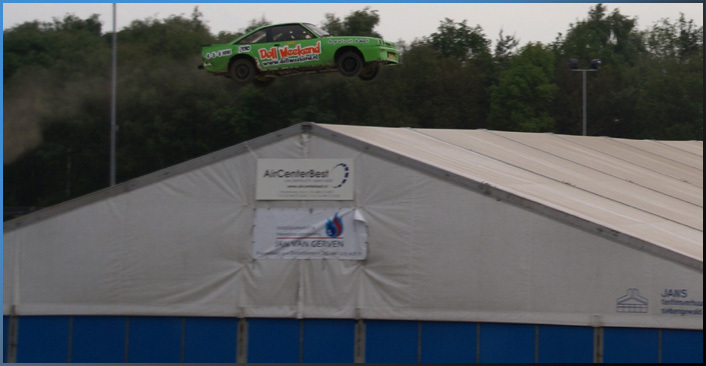 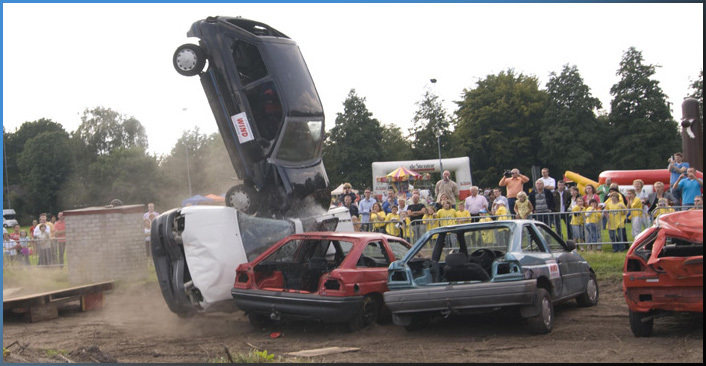 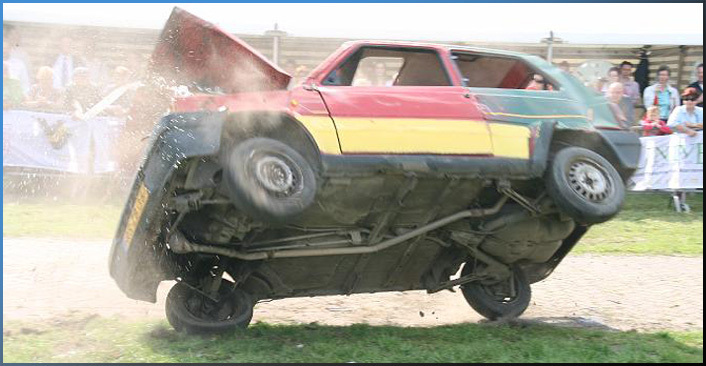 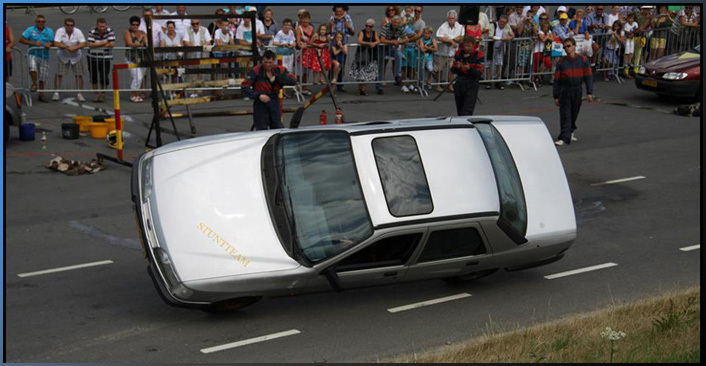 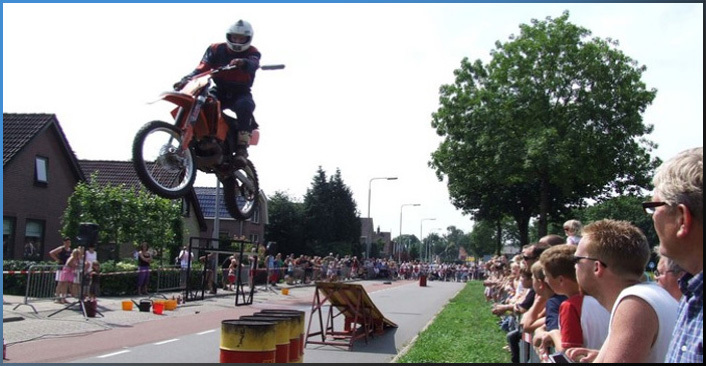 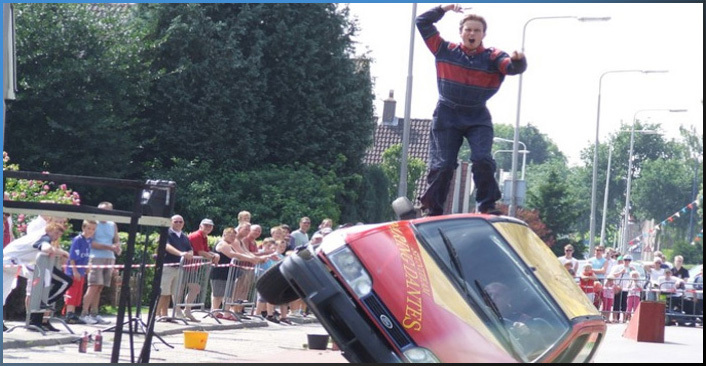 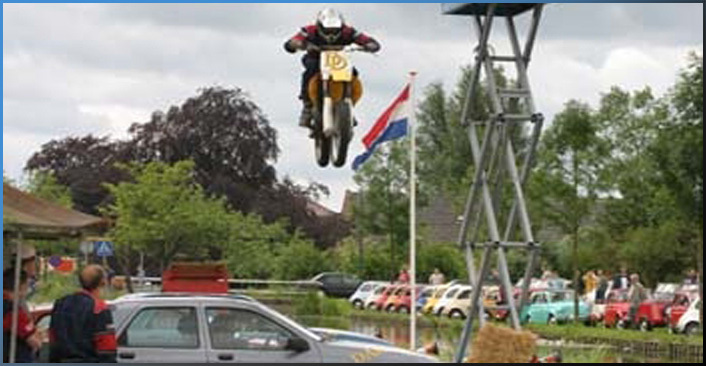 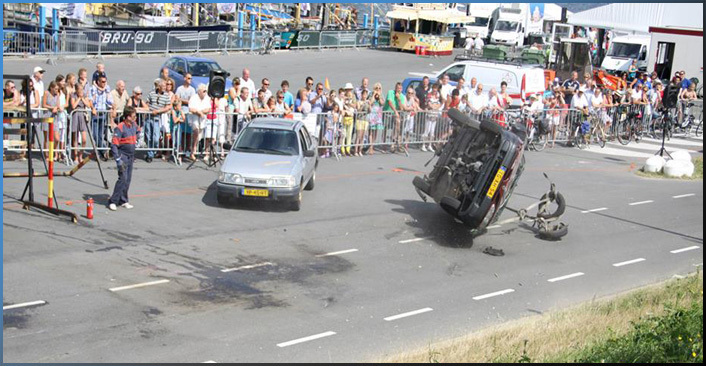 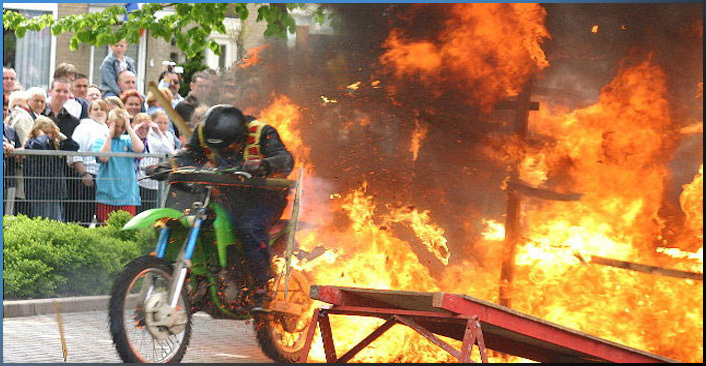 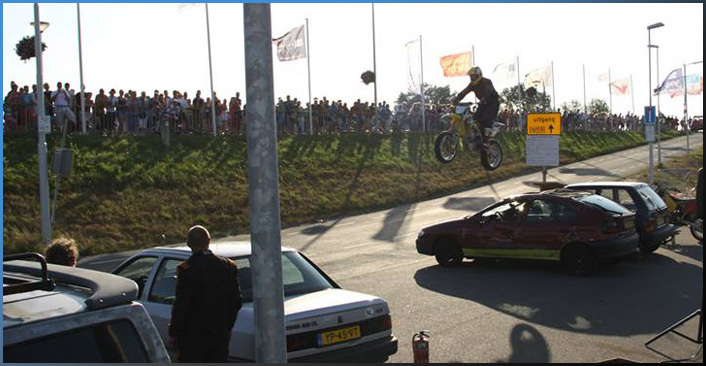 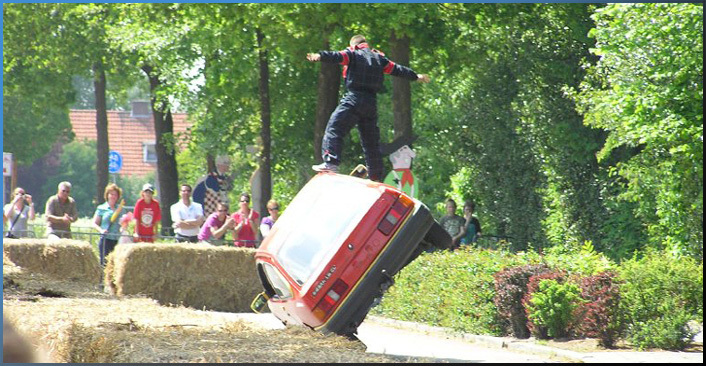 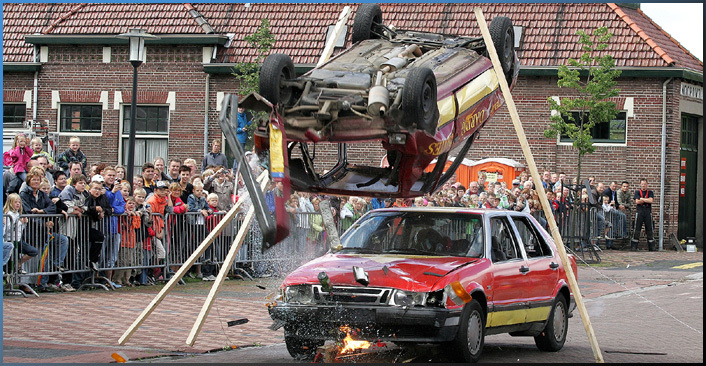 Here you will find photos of extreme stunts such as motorcycle jumps over trucks, motorcycle jumps into a moving truck, carrolls, cars driving through busses, car jumps and even the car frontflip. 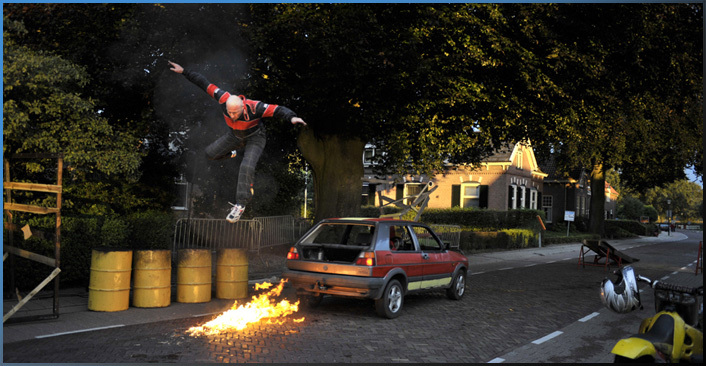 But also pictures of cars going through fire walls, motorcycle jumps over cars and people, driving on two wheels and lots of timing stunts. 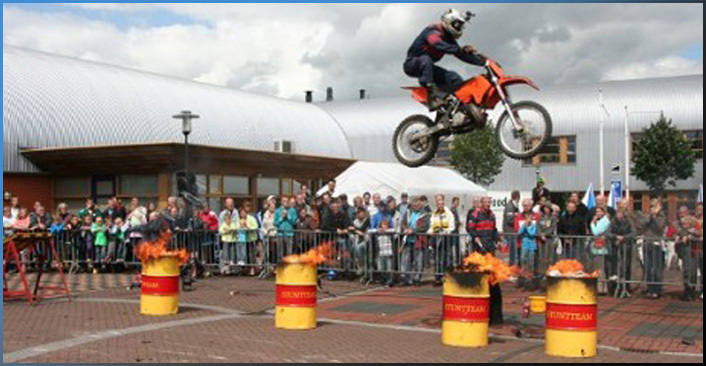 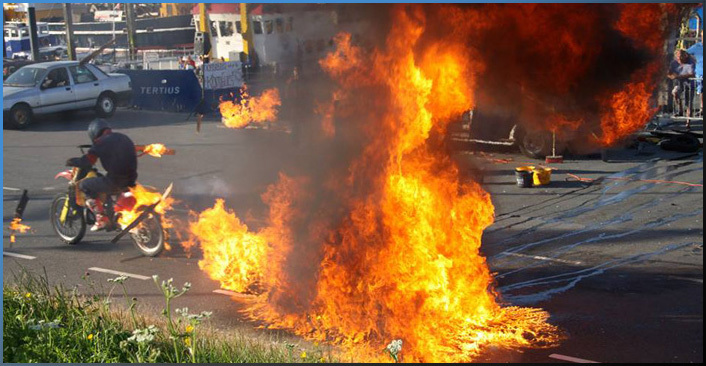 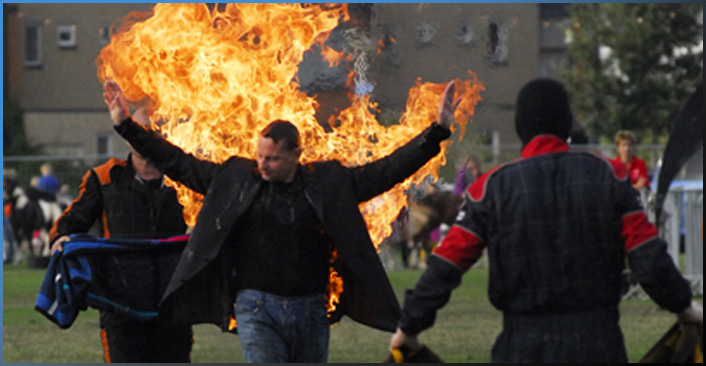 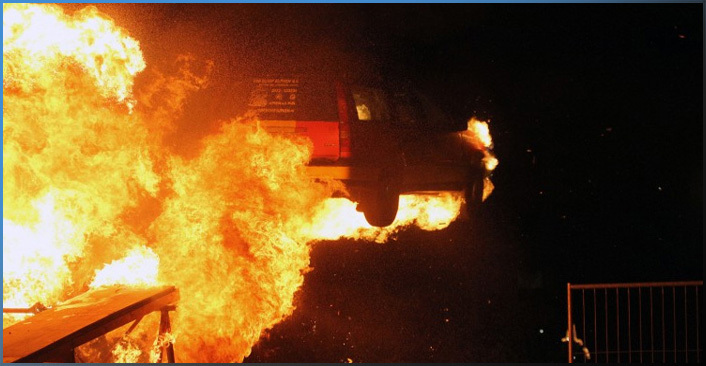 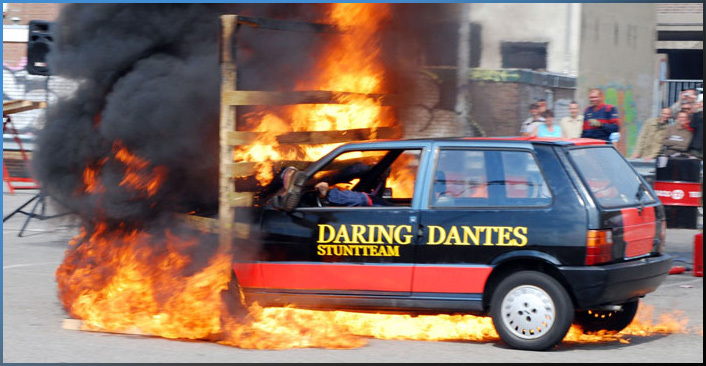 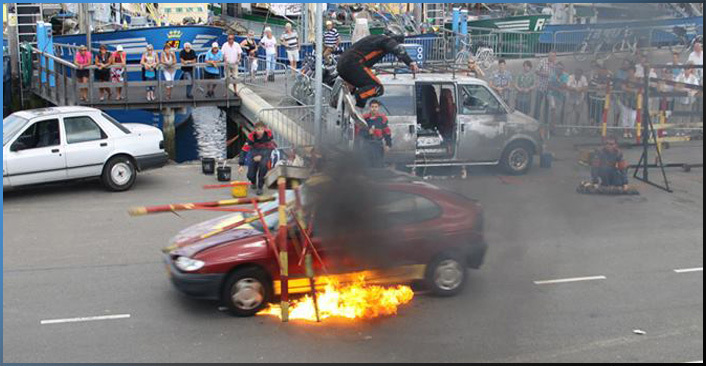 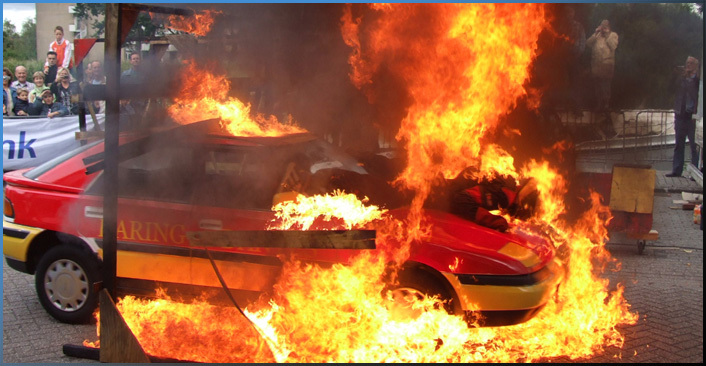 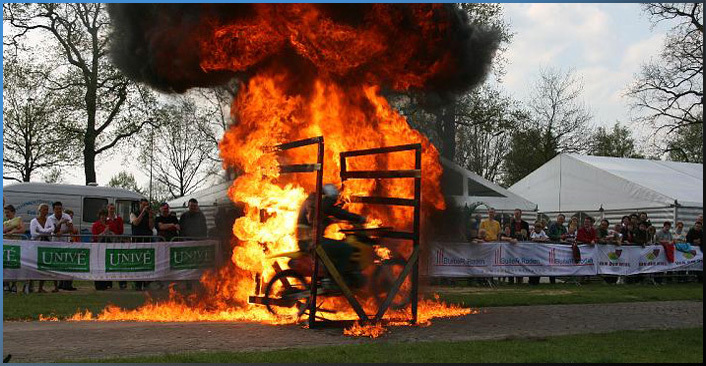 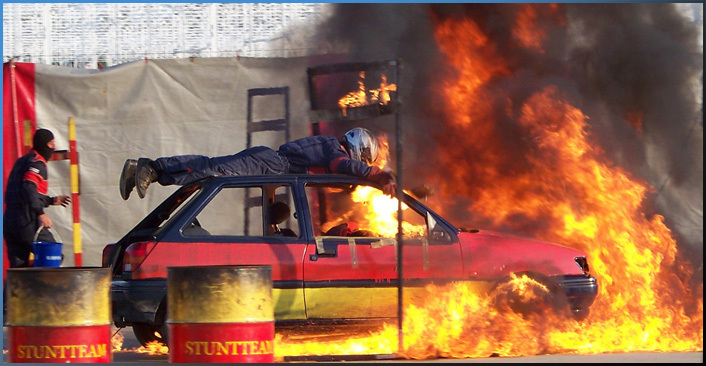 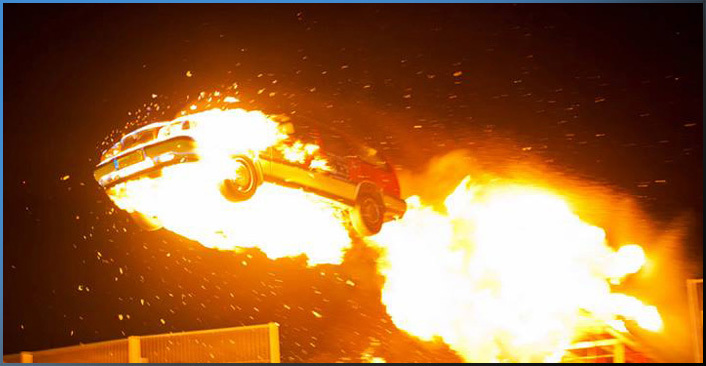 Contact us today via the contact page and book your stunt or stunt show now.